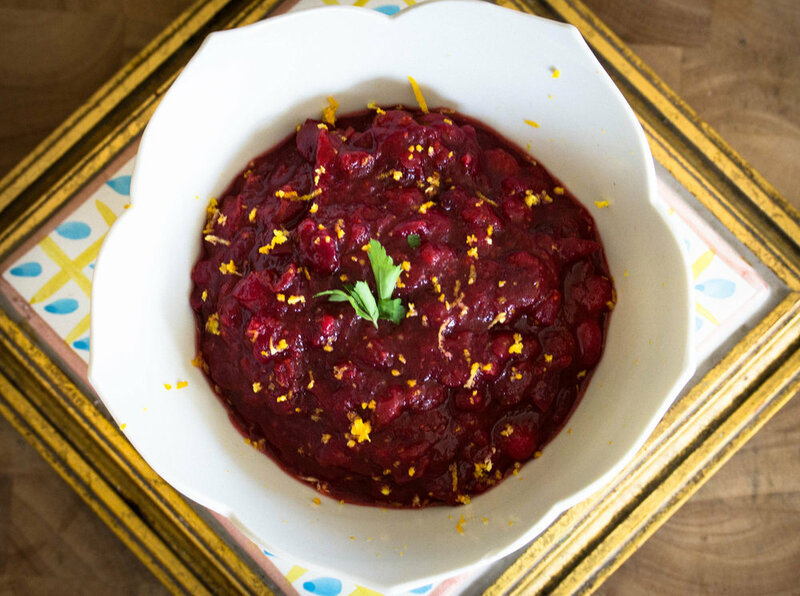 One of my favorite holiday dishes is Cranberry Sauce. I usually make this sauce a few times throughout the year because it is so simple and wonderful to throw in a salad, mixed in with my Homemade yogurt, or serve alongside chicken or fish! For a fancier version, check out my Cranberry Sauce Sous Vide! Enjoy! Bring water to a boil then add cranberries, juice of orange, and zest of orange. Mix well. Add entire orange to saucepan while cooking but discard before serving. Add honey and reduce to simmer, stirring well until honey dissolves. When cranberries just begin to pop, add cinnamon and sea salt and stir until combined. Garnish with orange zest and enjoy!